Central Texas is known for its shallow, poor soil. A tailor-made fertilization & weed control program will increase the growth of new leaves and roots, reduce lawn stress and increase recovery, treat specific weed types at specific times of the year and replenish nutrients and amend the soil. The way to achieve a great looking lawn in Texas is no secret, it is discipline. It is having the discipline to maintain a scheduled lawn fertilization and weed control program. Our lawn care program is consistently providing your lawn with the nutrients necessary to sustain a healthy lawn right here in the heart of Texas. 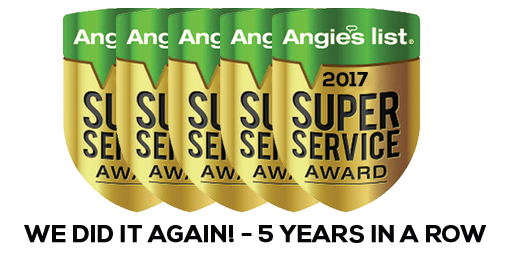 Our licensed technicians know how to perform the service properly using the highest quality products and taking the time to do the job right! We offer a comprehensive lawn program to keep your yard healthy, lush and green all year round through our partners at Emerald Lawns. The 9-step annual program includes an organic, bio-nutritional product that helps develop and support biological microorganisms, just as Mother Nature always intended! A healthy, balanced soil grows the lush vibrant green grass that you will love. Our lawns are healthy from top to bottom! Free service calls are offered in between applications for any concerns that may come up when six or more applications are scheduled. We spot treat all broadleaf weeds, insect and disease activity with each application as necessary. They start the year out with our Soil Enhancer application which contains a broad spectrum of nutrients and trace elements for superior soil and leaf biology. • We spot treat all broadleaf weeds, insect and disease activity as necessary. The Revitalizer application contains a bio-nutritional product in conjunction with fertilization and pre-emergent weed control. This is the perfect time to feed grass which promotes growth for Spring. **Grubworm/Chinch Bug Round (done simultaneously with another round) Grubworm preventative/curative treatment begins along with Round 3 (Beginning in March through November.) Done once annually. Provides nourishing food using organic fertilizer when possible to sustain healthy turf combined with turf-damaging insect control. Applying our slow-release granular fertilizer helps the grass uptake fertilizer at a steadier rate, minimizing surge growth and providing a more consistent food source for your lawn. • Minimal surge growth means less mowing! Our slow-release granular fertilizer helps sustain microbial activity in the soil and feeds grass at a steady rate, minimizing surge growth and providing a more consistent food source for your lawn. Our blend of potassium and micronutrients helps prepare the lawn ready for dormancy and protects against freeze damage. We also apply a pre-emergent weed control on all turf types to drastically minimize the weed activity that is normally associated with Winter and Spring. Sulfur is applied to reduce our naturally alkaline soil. Reducing alkalinity helps keep the grass greener and healthier all year around. 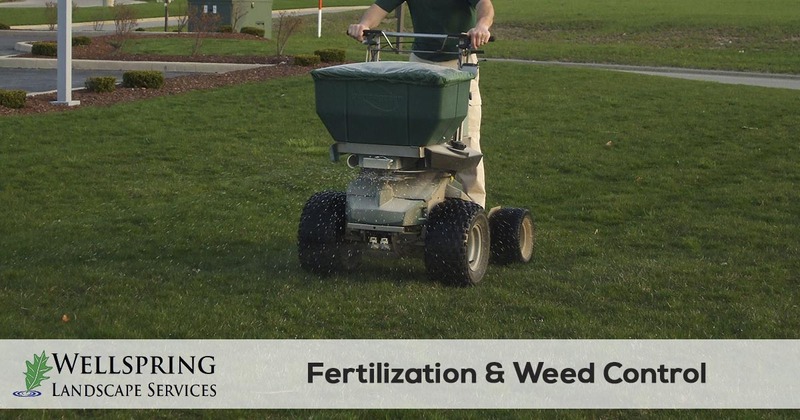 Whether you have never had your lawn fertilized and treated for weeds or you're just tired of not getting the results you expect from your current provider, Wellspring Landscape Services is here to help. Our team of expert trained and licensed lawn fertilization and weed control technicians take the extra time to study your lawn and customize a plan that best suits your lawn. 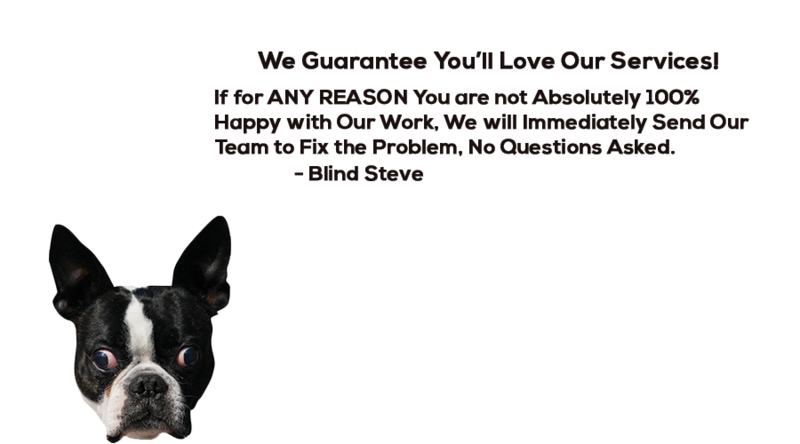 We make it easy to request a quote and schedule service. Get started today!